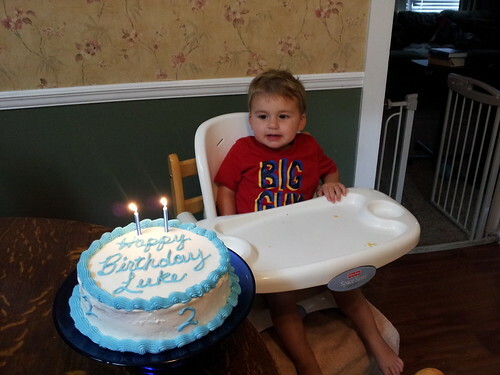 On August 3, 2011 Luke turned two! He spent the morning shopping for his birthday party on Saturday, then in the afternoon we had a cake for him with our family. He did so good at blowing out the candles. He loved that we were singing to him. Here he is enjoying his birthday cake on his birthday. Here is his cake that I made for him. 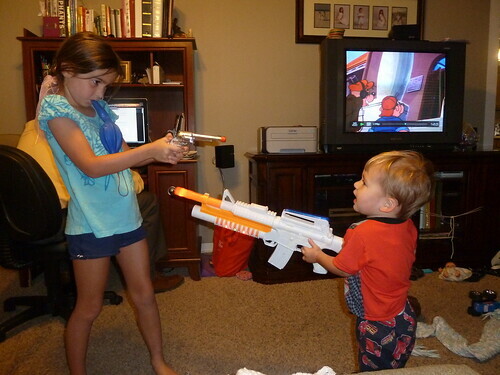 Sissy and UmBubby got Luke his first toy gun for his birthday. Here he is shooting Isabelle. He learned how to say, “Hands Up” and play dead when he gets shot. 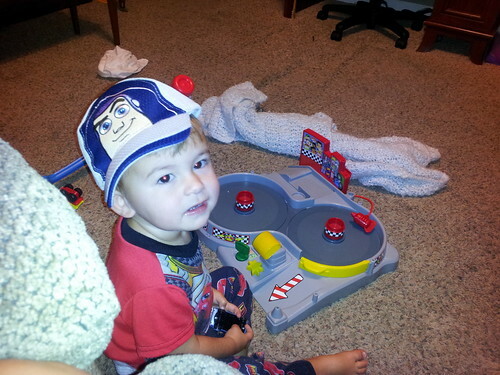 Here he is enjoying his new Buzz hat and his Finn McMissile car that Aunt Sarah, Uncle Josh, and Connor got him. 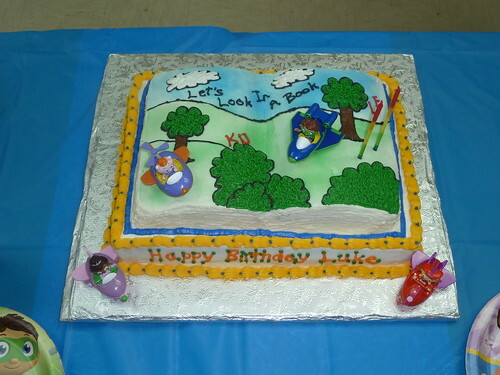 Here is a video of Luke blowing out his candles at his party. Thanks to everyone who came to his party and thank you for all of the presents.